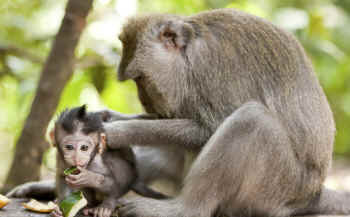 From Animal Defenders International: Hendry County Circuit Court Judge Sloan has ruled against monkeys and Florida citizens in denying a plea for public notice and hearing under the state’s ‘Sunshine Law’ in permitting laboratory monkey breeding facilities. The ruling relies upon local definitions (or lack thereof) to equate monkeys with livestock, though state law does not include macaques in clear, finite ‘livestock’ definitions. The state wildlife commission, which exerts pre-emptive powers over captive wildlife, clearly defines macaques as non-native wildlife. For now, this epicenter of US monkey breeding continues its cruel trade. Residents of Hendry County, Florida have for years been disturbed over several large monkey breeding facilities in the region. An announcement of yet another one to come has spurred community anger and opposition. In November 2014, the Animal Legal Defense Fund filed a lawsuit against Hendry County for approving the new facility without any public hearings or notification, a violation of state law. 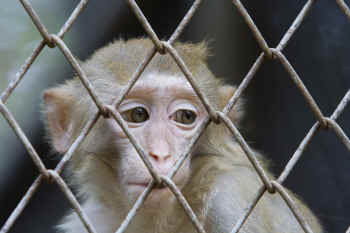 New information continues to expose the ugly reality of monkey “farming” for use in research. The 3,200 primates in Hendry County monkey facilities are captured from the wild in Vietnam, Cambodia, China and Mauritius, torn from their families, and transported thousands of miles under harsh conditions that cause many of them to die before reaching the U.S.
Click here to send a letter opposing the expansion. Once here, they are housed and bred to be sold for use in research at a price of $3,200 each. A former vet tech turned whistleblower who worked at one of the facilities, Primate Products, told a local TV news station how they regularly performed C-section abortions on pregnant female monkeys to remove the fetus, then package it for sale to buyers. Local TV news station WINK obtained documents from the USDA confirming that approximately three experiments were performed each day on the monkeys during 2014, totaling 1,148 procedures. Hendry County Administrator Charles Chapman told WINK News he had no idea the company was doing anything but breeding monkeys. Under agricultural zoning regulations, the county prohibits the facilities from carrying out experiments on the monkeys, though they are allowed to breed monkeys. Concerned about the reports from USDA, county officials have contacted Primate Products for a full explanation. A ruling from the county on the future expansion is expected in a few weeks. Please contact the county administrator to ask him to refuse the company’s expansion and continue the investigation into the operations at these monkey facilities. If they are in violation of law, they should be shut down. With over 23,000 primates imported into the U.S. in 2014 alone, we don’t need more monkeys imported. Already more than 70,000 monkeys are used in biomedical research in the U.S. and a substantial number, estimated to be around 50,000, are housed in breeding colonies before being assigned to research.